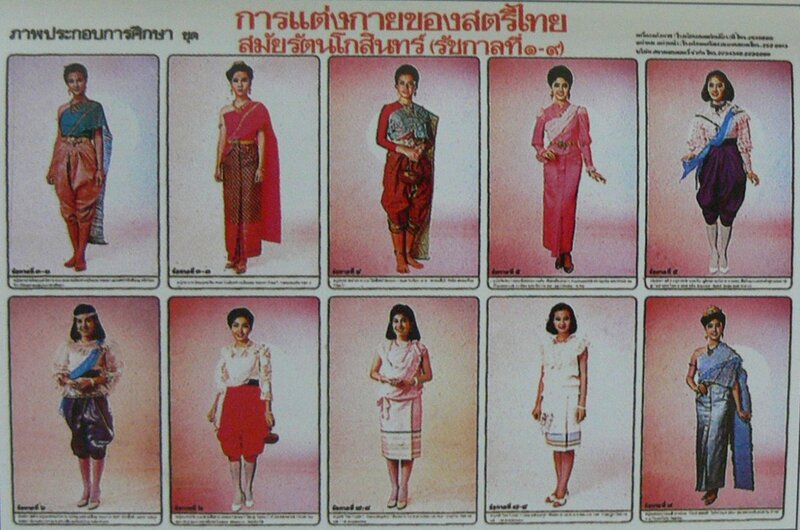 This poster contains 10 different Thai Traditional Female Dress Costumes. The costume are traditional costume during each Kings of current dynasty. The models are Thai beautiful girls. It's good for Thai culture education, designer, housewife to have new idea on clothing. In addition, if you are interested in Dress or Costume, it's very good addition to your interest. Don't miss it, rare item. Price will be higher soon. Buyer will also receive Free Translation to English. Note:The poster shipped is new from factory.No tear at all.The one taken is used for taking photos so poster shipped to you has better quality. The shipment will be shipped in tube to protect the posters, so shipping package price is a little higher, but you'll be more secure to get better posters.